1979 Chrysler 60hp outboard lower unit outdrive with prop. Chrysler outdrive in good condition. Water pump works but you should plan on replacing impellor. This is a new NOS Mopar item. The pictures are of the real item for sale. The item in the photo is what you will get. If your starter looks like the schematic below odds are this is the starter gear you need. For sure fits all 8 thru 15 hp models made from 1976 to 1987. Sea King / Wards & CHRYSLER. Recoil Starter Gear. Part# K10177 Crosses to FK 10177. (2)Force / Chrysler Marine Outboard Carburetor Kits. You will receive 2 Kits. Check your part number to be sure. Models can have variations through the years. CHRYSLER OUTBOARD BOAT MOTOR BATTERY IGNITION COIL 321475 APPLICATION UNKNOWN! If a part doesn't work for you for any reason let us know. Our Policies Include the year, horsepower, make, model # and/or serial # of your motor so we can assist you. We are always willing to work things out. I will always try to work with you on this. Cable is 17 foot long connectors only on on end other end has no connectors. Cable is as shown in picture sold as is. This hood was removed from a 1977-78 HP Chrysler 6 HP outboard motor. Parting out a 1986 Chrysler Force 50hp outboard model 507F6A. Here is the starter in working condition. Good used Chrysler outboard cylinder head. Number in casing is 23518. Both spark plug threads are good. Sold as is as shown. (loc gray 5). Part# 3514177. Chrysler Marine Inboard Motor 160 Degree Thermostat. Recoil Starter Spool & Shaft. Spool 2-7/8" OD. SHOWN IN THE PICTURES THEN THIS IS THE CORRECT SPOOL FOR YOUR MOTOR. 1984 thru 1987 Vertical Recoils. FORCE 9.9 & 15 hp. Mon: Closed. Sun: Closed. Mundelein, IL. 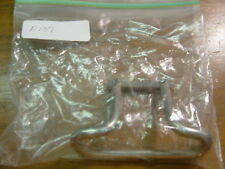 You are buying this NEW 372061-3 Carburetor Chrysler Outboard WB13D 4 CARB TILLOTSON. Screen height 2 1/4 in. overall height 5/8 in. crankcase vent tube 1/4 in. For carburetors with 5 in. © Marine Parts Source. Star Brite 93016 StarTron Gasoline Additive 093016 16 oz. Sierra Rotor 18-5407. 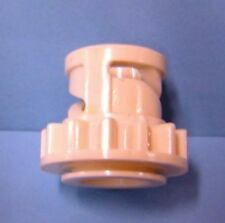 YOU ARE BUYING A CHRYSLER FORCE OUTBOARD 481662 GEAR FA481662 NEW. In good used condition. Removed from 1978 Chrysler 85hp. 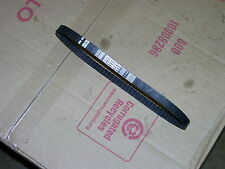 For Rare Chrysler / Simca 80 Stern Drives. PN F581061. 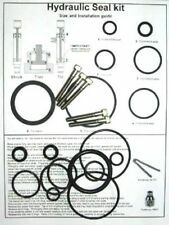 1982 Chrysler 75 HP Carburetor Set. 1985 H0856F85A CARBURETOR (BOTTOM JET STYLE). 1985 H0856F85B CARBURETOR (BOTTOM JET STYLE). 1985 H0856X85A CARBURETOR (BOTTOM JET STYLE). 1984 H0856F84A CARBURETOR. CHRYSLER OUTBOARD 9.9 HP TOP COWLING HOOD. Off a 1969 chrysler 9.9 hp. Might fit 15 hp models as well. Looks a bit different since it was off an electric start, so it has the extra hump on top for the starter to fit in. This fuel pump was removed from a 1977-78 HP Chrysler 6 HP outboard motor. PN FA510497 FS474475. May fit multiple models, horsepower ranges, and years. Chrysler 105 HP Outboard Cover Top Cowl Hood Cap Cowling 1972 thru 1985 fits 85 hp also but it says 105 and is off a 105 Chrysler. It has all its inside insulation. Great price if you need one or to keep just in case. Never painted. In original box. You are buying a NEW 354061 1 Carburetor Chrysler Outboard WB11B CARB TILLOTSON. Removed from a 1969 model 4545. Will fit many models. This is a complete running engine block with throttle and shift linkages. Compression of 120 and 115 in the cylinders when checked. If a part doesn't work for you for any reason let us know. Has a switch on the back for 1-4 cylinder conversion. Auctiva's FREE Counter. Years Used and HP are provided as a guide. It is your responsibility to ensure that this part is correct for your motor. Our Policies Include the year, horsepower, make, model # and/or serial # of your motor so we can assist you. In good Condition when removed. As always clean and inspect the part once received. Used condition. Good working order. Will require pitot tube and tubing for complete installation. F84068-2 NEW CHRYSLER FORCE OUTBOARD THERMOSTAT 84068-2. All wiring off of 1978 85 hp Chrysler 3 cylinder, should fit many motors.